Vintage Columbia jacket with zip in fleece lining. Modelled by Sam who is 6ft2" and usually wears a UK Large. 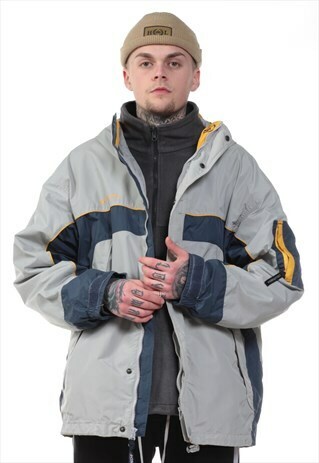 The item is in excellent vintage condition and looks great worn oversized.